TOLL charges can be halved in just three months if highway concessions are restructured into highway trusts and listed on Bursa Malaysia. This is the scenario painted by one corporate proposal that says toll charges can be reduced as much as 50% by adopting a model similar to real estate investment trusts (REITs). 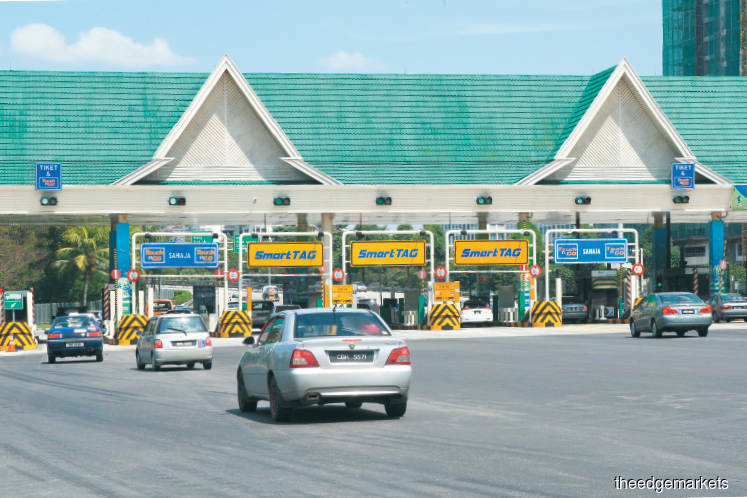 It is one of several proposals put forward to Putrajaya on reducing toll charges, although the government has admitted that abolishing highway tolls, a key election promise, is impossible at this juncture due to its weak financial position. But the fine print is that for toll charges to fall, the finite-life concession model must be rejigged to a perpetual licensing regime, allowing investors to enjoy returns forever. Recall that the Pakatan Harapan (PH) manifesto pledged to abolish toll charges across Malaysian highways if the party won the 14th general election. After forming the government, PH backtracked on the promise, saying it did not know at the time the true extent of the national financial woes with debts and obligations exceeding RM1 trillion. On Oct 12, Prime Minister Tun Dr Mahathir Mohamad said he was against the pledge in the first place and that PH did not expect to win the election. “You tell the private sector to do the roads. They want to make money but if you don’t have toll, how can you make money?” he told Bernama. Mahathir also said the only way to abolish tolls would be to raise petrol prices, meaning to remove subsidies and free up some public funds. A document sighted by The Edge argues that forming a highway trust to acquire the concession companies and listing it on Bursa may be a way to surmount the daunting financial hurdle and halve toll charges instantly, starting with the PLUS highways. It also highlights that the federal government has the option to take the highway trust private once public finances improve. PLUS Malaysia Bhd (PMB) is a natural candidate as the government has significant influence over it. The company is 51%-owned by UEM Group, a unit of sovereign wealth fund Khazanah Nasional Bhd, while retirement savings fund the Employees Provident Fund (EPF) owns the remaining 49%. Enjoying tax-exempt status since 2011, PMB is Malaysia’s largest highway concessionaire with seven toll expressways, including the 748km North-South Expressway running down the length of Peninsular Malaysia. After the PLUS highways, the proposal singles out expressways owned by Projek Lintasan Kota Holdings Sdn Bhd (Prolintas), Gamuda Bhd and IJM Bhd as those having the biggest impact on urban commuters, who are the hardest hit by the rising cost of living. Prolintas is the infrastructure arm of bumiputera fund manager Permodalan Nasional Bhd (PNB), which had planned to list the highway operator by this year or next. The proposal seen by The Edge estimates that the migration of PMB’s concessions to a highway trust can be done in three months, not including the time taken for an initial public offering. Those under Prolintas, Gamuda and IJM may take up to six months, not including the time needed for a listing process, the proposal says, adding that the precedent set by PMB’s concessions may persuade other concessionaires to migrate to the highway trust. The proposal is underpinned by additional federal government support in terms of assuming the debt of selected toll concessionaires to the tune of RM5 billion to RM11 billion. For perspective, the proposal notes that the government’s cumulative soft loans and loan guarantees to highway concessionaires add up to about RM12.8 billion. It also requires the government to take over the capital expenditure (capex) and maintenance expenses of the expressways while providing tax-exempt status for the concession returns. It argues that the assumption of heavy repairs and other capex will enable the government to have direct oversight of maintenance quality. Based on reported financials, assuming the cost of heavy repairs and capex may set Putrajaya back by about RM897 million, the proposal notes. This is 35.7% higher than the RM661 million previously paid by the government to the concessionaires for deferring the scheduled toll rate increases. However, the RM236 million shortfall is offset by the expected increase in compensation, the proposal argues. For example, the government paid PMB some RM328 million in 2016 for deferring a scheduled 5% toll rate increase. The next 5% increment is due by Jan 1, 2019, which may add another RM328 million to total compensation. “Our estimates suggest that this (assumption of capex and heavy repairs) is neutral to the government from a cash perspective,” the proposal says. However, there may be a potential complication in finding an agreeable enterprise value for the highway trust and what constitutes fair compensation for the debt holders and equity holders. This is critical in order to persuade highway concessionaires not linked to the government to agree to such a proposal. Any mismatch in expectation may translate into additional debt assumption by the government or a smaller toll rate reduction than 50%. For investors, the proposal notes that the equity value will be driven by yield expectations based on traffic growth projections. That said, it estimates a possible yield of between 5% and 7% in the first year, and rising up to 20 basis points in the subsequent years.